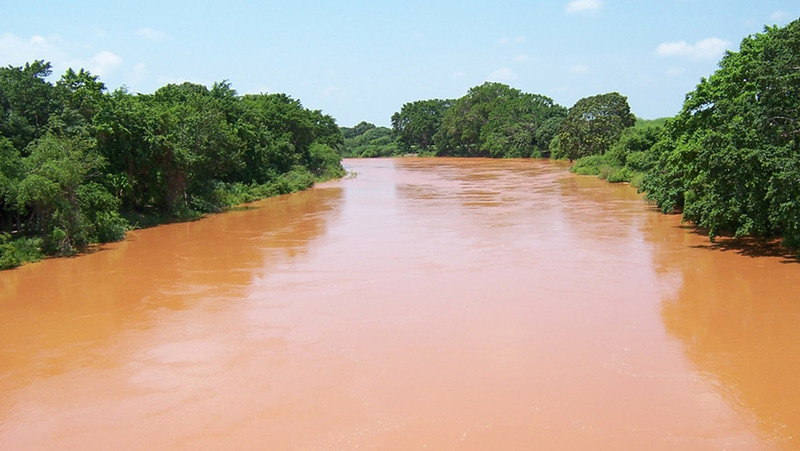 The Flood and Drought Management Tools project is a UN Environment-implemented, Global Environment Facility-backed initiative to improve the ability of water utilities and catchment authorities to predict and plan for flood and drought impacts in Kenya. It’s a cycle that is becoming all too common around the globe. A swing from flood to drought and back that costs nations billions of dollars every year and threatens not just the livelihoods but the very lives of millions of people. Developing countries are often worst hit. In Kenya in 2018, close to 200 people died as a result of the worst flooding since 1997, with more than 300,000 displaced and over 21,000 acres of farmland destroyed, leaving thousands of people without livelihoods or sustenance. The big wet came on the back of the nation’s worst drought since 2010, with 23 of 47 counties affected, leaving 3.4 million people severely food insecure and an estimated 500,000 people without access to water. What is happening in Kenya is true in almost every corner of the world. Flood and drought are becoming not only increasingly common, but more intense and less predictable. Climate change may be the major driver, but the impacts are becoming ever more severe as a growing global population, increasing urbanization and pressures from agriculture and industry all tax scarce water resources and put more people at risk. The World Resources Institute and partners estimate that floods disrupt as much as US$96 billion in gross domestic product (GDP) each year, with drought costing the agriculture industry alone US$6-8 billion annually according to the United Nations. While global action is being taken to avert worst-case scenario climate change, the impacts being felt around the world already are very real – and often, nothing short of deadly. According to UN Environment’s Yegor Volovik, to deal with flood and drought effectively, we need to be able to predict these risks – and to be adequately prepared for water shortages or surfeits as they occur. "Building resilience and adapting to future challenges is essential to reducing both the human and the economic cost of climate change,” Volovik says. Enabling this planning is a core objective of the Flood and Drought Management Tools project, a four-year, multi-million-dollar, Global Environment Facility-backed initiative to improve the ability of water utilities and catchment authorities to predict and plan for flood and drought impacts. Led by UN Environment, in partnership with the International Water Association and DHI Water & Environment, the project works with 10 water authorities across six countries and three transboundary river basins to pilot a groundbreaking online system that provides near-real-time access to hydrographic, meteorological and demographic information. The new Flood and Drought Portal aggregates and translates publicly available data from a range of sources, making it accessible to water authorities in a form they can use to support decisions at a local level. But the portal does more than just democratize data – it enables water authorities to put it to use to manage and overcome water-related risks in a changing climate. The portal includes flood and drought assessment tools that help users locate and identify hazards, estimate impacts and provide risk assessments; a water indicator tool to support decision making; tools for water safety planning; and even an application to understand crop yields and water needs. As a key part of the portal’s development, the system is being piloted across Lake Victoria, the Volta basin and the Chao Phraya basin. The pilot brings together stakeholders from local catchment authorities and water utilities to fine-tune and learn to use the tools. At a training in Kenya’s Kisumu, representatives from Kenya, Uganda and Tanzania are positive about the transformative potential of the portal as they work to collaboratively manage the area’s shared water resources. “It is important because getting this information in time can help us plan better, so at the operational level there are no surprises,” says George Odero, Water Safety Planning Team Leader at the Kisumu Water and Sewerage Company. By bringing together stakeholders from across transboundary basins, the Flood and Drought Management Tools project also encourages cooperation between countries, catchment authorities and utilities that rely on shared water resources. “It is quite important, because when we talk about transboundary contexts, we talk about political boundaries – and catchments do not respect political boundaries,” says International Water Association Programme Officer Kizito Masinde. The utilities at the Kisumu training all sit in the Lake Victoria Basin – their key source of water. This makes collaboration across borders essential. “They have to find a way of cooperating, because any abstraction from the lake is going to affect the other utilities and all the other activities that happen within the basin, whether that be farming activities or industrial activities,” Masinde says. While the focus may be on the tools now at hand, forging connections between different stakeholders has been equally important, as utilities and catchment authorities come together to share both their challenges and solutions. With the tools in place – and an enthusiastic response from stakeholders across the three pilot basins – the focus is now on how to upscale the pilot’s success to other transboundary river basins. The Flood and Drought Management Tools project is a four-year project (2014-2018) that develops and tests web-based technical applications, and makes them available through the Flood and Drought Portal. The tools can be applied individually or together to include information about floods, droughts and future scenarios into planning. It can be scaled from the transboundary basin to the water utility level. The project is testing outputs in the Volta basin, Lake Victoria and the Chao Phraya basin, with the aim of improving the ability of land, water, and urban area managers in transboundary river basins to recognize and address the implications of the increased frequency, magnitude, and unpredictability of flood and drought events arising from climate variability and change. The Flood and Drought Management Tools project is funded by the Global Environment Facility, implemented by UN Environment and jointly executed by DHI and the International Water Association. For more information on the project and UN Environment’s work in international waters, please contact Yegor Volovik.